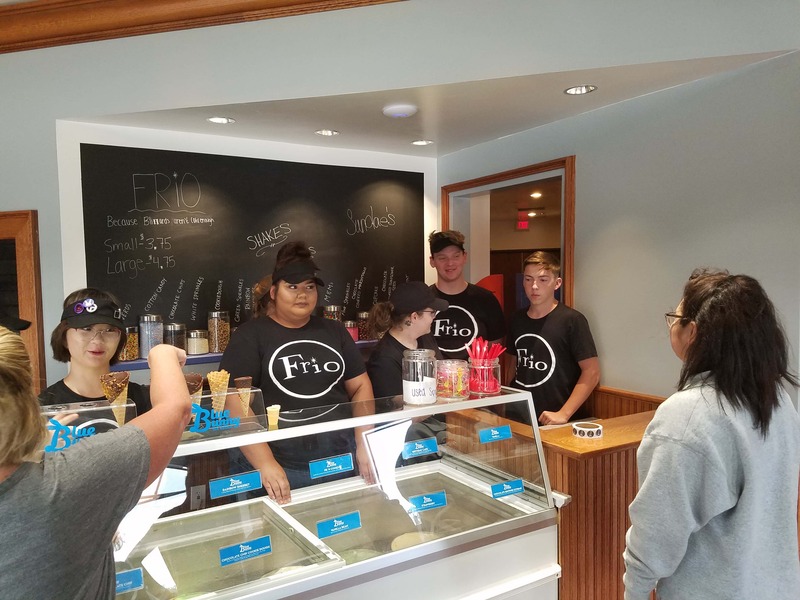 It’s been less than a month since the Frio Ice Cream Shop opened in Perry, and while the lines recently haven’t been as long as they were at first, it’s still a hot destination for all ages. To celebrate Frio’s success while also officially welcoming the shop to the City, the Perry Chamber of Commerce will be helping Maxwell host a grand opening celebration and ribbon-cutting ceremony on Monday, October 1st starting at 11 a.m. There will be specials running all day, so Maxwell says if people haven’t been there yet it will be a great opportunity to do so. Conversely, for those who have been regular customers, he hopes they’ll come and support Frio for their big occasion. To hear more from Maxwell, listen to today’s Perry Fareway Let’s Talk Dallas County program on air and at RaccoonValleyRadio.com.